Romeo, Windsor, Teksid, WAP, Triton & Intech – What’s In A Name? What’s The Difference In Blocks? 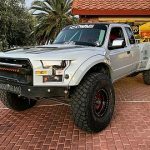 2-Valve SOHC, 3-Valve SOHC & 4-Valve DOHC – Which Vehicles Have What? The 4.6 L (281 CID) V8 has been offered in 2-valve SOHC, 3-valve SOHC, and 4-valve DOHC versions. It has also been produced with both iron and aluminum blocks. The 4.6L SOHC 2-valve engine was the fleet engine of choice for taxicabs and police cars as well as hundreds of thousands of Crown Vics, trucks, vans, and Mustangs, they’re usually easy to find and cheap to buy. In a nut shell, not all 4.6L engines are built the same. Start reading the multitude of forums on the internet and you’ll see people referring to the 4.6L engines using names like Windsor, Romeo and Teksid. So what do the names mean? Romeo – Romeo is an engine plant. 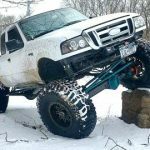 The first 4.6L engines built were produced in Romeo Michigan beginning in 1991 which was Fords old tractor plant just outside of Detroit. Most Romeo blocks are marked with an “R” in the block. Windsor – Windsor refers to the Windsor engine plant in Windsor, Ontario Canada. Ford added this second engine plant in 1997 to produce 4.6L and 5.4L engines. As noted above, 1997 was the first year the 4.6L showed up in the F-150. Windsor blocks are all marked with a “W” in the block in two places. Teksid – Teksid just refers to aluminum blocks made from 1993-1999 by Teksid in Italy. The engine itself was assembled in Romeo, Michigan. The Teksid blocks are said to be capable of handling 1,200 horsepower. Fiat owns Teksid S.p.A., the largest iron foundry group in the world with a production capacity of approximately 600,000 tons annually. The company was established in December 1978; it designs and produces cylinder blocks, cylinder heads, exhaust manifolds, drive shafts, camshafts and components for automobiles and commercial vehicles. Teksid, which is specialized in casting and processing iron, has plants in France, Portugal, Poland, Brazil, Mexico and China. Since 2007, Teksid S.p.A. runs also Teksid Aluminum S.r.l. a company specialized in casting and producing auto components from aluminium alloys. Intech – Simply refers to the engines in Lincolns. It is possible to determine if you have a Romeo or Windsor engine by looking at the 8th character in the vehicles VIN number. VIN Y for the Mustang Cobra refers to the 2003 DOHC supercharged model. 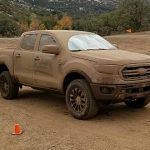 VIN 3 for the Ford trucks refers to the supercharged SOHC Lightning engine. VIN 6 refers to 4.6L SOHC Windsor produced engines. VIN W refers to 4.6L SOHC Romeo produced engines. VIN X refers to 4.6L SOHC Windsor produced Mustang engines. The Mustang can be found with the Romeo or Windsor engine. The 1996-1998 and 2001-2004 Mustang GTs used Romeo engines. The 1999 and most 2000 Mustang GTs had Windsor engines. The 1996-1999 Mustang Cobras used the aluminum Teksid blocks. There are a variety of differences between the Romeo and Windsor engine blocks. Romeo was the only Modular engine plant from 1991-1995. Windsor came on line for 1996 to build 4.6L and 5.4L SOHC engines for trucks and vans. Although Romeo is primarily a car engine plant, it has produced Modular engines for trucks. Although Windsor is primarily a truck engine plant, it produced Modular engines for the 1999-2000 Mustang GT. Although they look similar, Romeo engines employ different blocks, heads, and cranks than Windsor. Most Romeo blocks are marked with an “R” in the casting. Windsor blocks are all marked with a “W” in the casting in two places. Romeo heads employ bolt-on cam journal girdles. Windsor heads don’t have cam journal girdles, just individual journals. 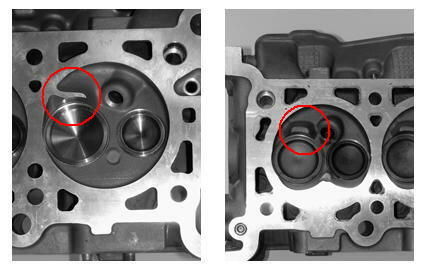 Because Romeo and Windsor engines have different timing cover/cam cover bolt hole sizing, it is best to use Romeo heads and blocks together and Windsor heads and blocks together. Romeo blocks have jackscrew cross-bolted main caps. Windsor blocks have dowel pin cross-bolted main caps. Romeo engines have primarily six-bolt flywheel/flexplate flanges. Windsor engines have eight-bolt flywheel/flexplate flanges. Oil filter/cooling neck types vary depending on vehicle type. Timing cover depends on vehicle type. Romeo cam sprockets are zero-fit and slip right on. Windsor cam sprockets are pressed on. Romeo cam covers have 11 bolts. Windsor cam covers have 13 bolts. Different timing covers for SOHC and DOHC. Same basic timing chain/sprocket system for both SOHC and DOHC. DOHC engines have secondary timing chains for secondary camshafts. If you’re building a 4.6 SOHC engine, you need to know there are two basic Windsor block castings, and four basic Romeo block castings. It’s a good idea to keep Windsor heads with Windsor blocks, and Romeo heads with Romeo blocks to eliminate any confusion in your engine build. If you’re going to interchange parts and castings between the two plants, you better know exactly what you’re doing or expect all kinds of disappointment, wasted time, and expense. If you look closely at the aluminum block above it has a diamond pattern in the casting on the top of the block. This identifies this as a Windsor Aluminum Plant (WAP) block. If the block had squares it would identify it as a Teksid block. 1991 F1AE Romeo SOHC Block (Solid transmission dowels)Same bellhousing bolt pattern as small block Ford. 1996-1998 F65E-CC / F6VE / F7VE Romeo SOHC block Block has a second bolt hole to mount the extended housing that moved the oil filter to the back, closer to the bell housing, to provide enough room for an oil cooler. Block may have been used in Crown Victoria Police Interceptor package. Block has a second bolt hole to mount the extended housing that moved the oil filter to the back, closer to the bell housing, to provide enough room for an oil cooler. 1996-1999 F65E-BB / F75E Windsor SOHC blockDon’t confuse the F65E-BB Windsor block with the F65E-CC Romeo block. Heads produced prior to 1999 are referred to as the Non Performance Improved (NPI) heads and heads from 1999 are referred to as the Performance Improved (PI) head. These new PI heads offered improved flow and cam profiles. The new PI heads boosted Mustang horsepower from 215 with NPI heads to 260 with the PI heads. Ok, since we know the heads are one of the biggest factors in the 4.6L SOHC motors, lets look a little closer at them. 1996-1999 F65E/F75 and F75E SOHC Windsor NPI Head..They had individual caps on each cam journal, 12 bolts instead of 9 around the perimeter of the head for the cam cover, and the four bolt holes on both ends were 10 x 1.50 mm instead of 8 x 1.25 mm like they were on all the Romeo heads. The combustion chambers on these heads had the “swirl-fin” behind the intake valves and they had small, oval intake ports. Most of the F65E/F75/F75E castings have a small, round, machined “restrictor” driven into the head right under the wide cam cap, but we have seen a F65E with a machined slot in the cap and no “restrictor” in the head. The hole in the heads that have the slotted cap is too small for the “restrictor,” so it’s not a problem as long as you know what you’re looking for and you make sure you install the “restrictor” in the heads that came with it. 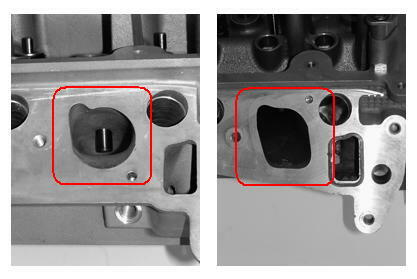 Rebuilders may have one problem with the “NPI” Windsor heads; the two blind holes that are used for the pegs that hold the intake gasket in place during assembly are on the bottom (toward the valley-side) of the intake ports most of the time. But, there are some F75E castings that have the holes at the top side of the ports (near the head). They were on the bottom on the F75E casting when it was used on the 4.6L from 1996-’99 and on the 5.4L in 1997. 1999-2001 XL3E Windsor PI Heads.It has square intake ports, bigger intake valves, different springs, and a small, heart-shaped chamber that has a swirl-fin behind the intake valve. These heads don’t have the “restrictor” that’s driven into the head, so the wide cap has the small slot machined in the divider between the two sides. The “PI” heads weren’t installed on everything in 1999, and the parts books aren’t clear about exactly where they were used, so there’s a lot of confusion about which applications came with or without them. The PI heads weren’t installed on everything in 1999, and the parts books aren’t clear about exactly where they were used, so there’s a lot of confusion about which applications came with or without them. The only thing anyone knows for sure is that all the Mustangs had “PI” heads in 1999 and some of the trucks and Expeditions had them. In 2001, the F150 and Crown Victoria 4.6 Ls received the PI package. The PI head (right) has square intake ports that are larger than the ones found on the NP” head on the left. The 1991-1998 SOHC NPI heads have camshafts with .482 lift and 204/208 duration. The 1999 and newer SOHC PI heads have camshafts with .535 lift and 192/184 duration. When using PI heads on a NPI engine you’re going to end up with a higher 10.5:1 compression ratio. Windsor and Romeo PI heads for SOHC 2-valve engines flow identically, but have different valve cover and timing chain cover bolt patterns, and different cam gear attachment styles (pressed vs bolted). Windsor PI engines came in 1999-2000 Mustang GTs, and Romeo PI engines came in 2001-2004 Mustang GTs. The easiest way to add PI heads to a NPI engine is to use Romeo PI heads on a Romeo block and Windsor PI heads on a Windsor block. You’ll need to use the valve covers that were on the new heads if mixing heads & blocks. The Windsor and Romeo heads use different valve covers. Windsor Heads/Valve Covers has 13 (driver side) and 14 (passenger side) bolts, and Romeo has 11 bolts. You’ll have to use a PI intake in your new PI heads. The NPI intake will not work. Also make sure you get the coolant tube that runs through the valley. The PI is larger and sits deeper in the valley. The NPI tube will interfere with placement of the intake. The NPI thermostat neck is not compatible with a PI intake, so get the PI thermostat neck. The NPI alternator and PI alternators use different mounts at the top. You can modify the stock bracket and drill it to fit the NPI alternator, or buy a PI alternator and use a PI bracket. Next is the coolant crossover tube. NPI cars have (2) temp sending units in the crossover tube on the intake. One is for the temperature gauge, the other is for the computer. You may need to drill and tap the PI intake to accept the second temp sensor. Second, the PI heads use 10 mm accessory bolts. The stock NPI bolts are 8mm. The easiest solution is to search a junk yard for a PI motor and salvage the bolts. In 1993, Ford introduced the 4.6 DOHC engine in the Lincoln Mark VIII. What made the 32-valve Modular V-8 different was its all-aluminum construction. This engine witnessed exclusive use in Lincolns until 1996 when it was then introduced in the SVT Mustang Cobra. This new engine utilized the Teksid aluminum block and is said to be the strongest 4.6L block available. Note that the 1999 and newer DOHC heads are not called ‘PI’ (Performance Improved) heads. Both heads are good heads. The Tumble Port heads are known for making more high end horsepower. The Twin Port heads create better torque. The Tumble Port heads came on the front wheel drive Lincoln Continental (The Continental block cannot be used in a rear-wheel-drive vehicle, but the heads can be swapped) and the Mustang Cobra. They were never in the Lincoln Mark series because the Mark series was cancelled in 1998. A step up from these would be the 2003-2005 DOHC heads that were stock on 2003-2004 Cobras and Mach 1’s as well as 2003-2005 Marauders and Aviators. They are suppose to flow better than the pre-2003 castings. The best heads to date were never offered on a production vehicle. They are available on the FR500 crate engine. 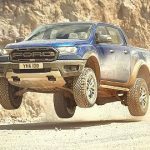 They are available through Ford Racing Performance Parts under part numbers M-6049-T46 and M-6050-T46. They are bare heads, but Ford also offers camshaft kit (cams, valves, springs, retainers and rockers) under part number M-6550-T46. The engines are equipped with an electronic Charge Motion Control Valve (CMCV) system that provides increased charge motion at low engine speeds for improved emissions and low-rpm torque. Cylinder block material varies between aluminum used in the 2005+ Mustang GT and cast iron used in the 2006+ Ford Explorer and the 2007+ Ford Explorer Sport Trac, though the same aluminum heads are used in all applications. All 4.6 L 4-valve engines featured aluminum engine blocks with 6-bolt main bearing caps, with the only exception being the 2003–2004 SVT Cobra which had a 4-bolt main cast iron block. The 1999 and earlier engines featured an aluminum block cast in Italy by Fiat subsidiary Teksid S.p.A. Since 1996, all of the 4.6 L 4-valve engines manufactured for use in the SVT Cobra have been hand-built by SVT technicians at Ford’s Romeo, Michigan plant. 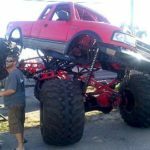 Hot Rod Magazine – Hot Rod Magazine did a project where they purchased a 4.6L SOHC engine from a 1997 Ford Crown Victoria with 117,000 miles on it for $400.00. They purchased the motor without a computer and their goal was to see what kind of power they could build from a junkyard motor. They replaced the NPI heads with PI heads, used an Edelbrock Victor Jr intake, Holley 650 cfm carb, BBK Headers, a MSD 6 Mod Ignition Controller and created 313 horsepower. They ported the PI heads and power jumped to 346 horsepower. They then added a pair of Comp Cams XE274H camshafts, springs and retainers and produced 370 horsepower. This just goes to show you that you don’t have to mess with computers and fuel injection to create a 4.6L engine swap that produces respectable power. Remember, this 370 horsepower is on an engine with 117,000 miles. 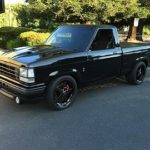 Sport Truck Magazine – Sport Truck Magazine took a 4.6L SOHC engine from a 1997 Ford Mustang and modified it to create more power. They swapped out the NPI heads for ported PI heads, added a PI intake manifold (required since they added PI heads), and added XE270AH Comp Cams camshafts. These changes resulted in 405 horsepower. Again, another example of respectable power being built on a used 4.6L engine with minor upgrades. 1999 and newer 4.6L SOHC engines with PI heads. Pre-1999 4.6L SOHC engines upgraded with PI heads. Lincoln Mark VIII – You’ll see a lot of people talk about the 1993-1995 Lincoln Mark VIII 4.6L DOHC engine. It uses the old EEC-IV system and doesn’t have PATS. It also uses the Teksid aluminum block. There has been discussion that the Mark VIII intake has the intake hose coming off the back of the engine and a body lift would be needed to clear it. Others claim the throttle body fits into the indentation in the Ranger’s firewall. If you wanted to install a 4.6L from a vehicle that used a PATS, you would have to incorporate the PATS from the donor vehicle. Note About EEC-IV: The Ford Ranger used the EEC-IV (Electronic Engine Control) prior to 1996. In 1996 the Ford Ranger switched to the EEC-V. Type B (1999-2000 Ranger): Under the type B system, the key sends a signal to the PATS transceiver, the transceiver then sends a signal to the PATS transponder (PATS module), and this then sends a signal to the PCM that tells it that its ok to run. For a type “B” system, if the PCM does not receive the “ok to run” signal from the PATS module, then it will still allow the motor to crank, but it will not send pulses to the injectors cutting all fuel. If the 4’6L donor vehicle computer, PATS module and keys are also transplanted to the Ranger, they should work immediately. 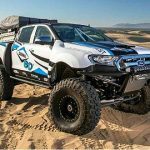 If the original Ranger PATS module and keys are reused with the 4.6L donor vehicle PCM, a dealer would have to “introduce” the new parts to each other before the engine could start.. Ever wonder about the size differences between Ford small block 302/351 and the 4.6L modular engines? Coolant Leak (intake manifold) – Some vehicles may exhibit an Intake Manifold crossover (first runner) coolant seepage condition. This may be caused by a crack in the intake manifold coolant crossover. There is a replacement intake available that uses an aluminum coolant crossover instead of plastic. The photo above shows a stock 4.6L intake (top) and the improved replacement with the aluminum coolant crossover (bottom). Spark Plugs – Some 4.6L’s have been reported to have the spark plugs blow out of the hole taking the threads with them. The spark plugs have the ability to fly through the hood and a few engine fires have been reported from fuel vapor coming out of the cylinder and being ignited by the loose plug. The problem is fixed by inserting a HeliCoil where the original spark plug hole was. This problem is said to affect the 1997-2004 model years that had aluminum cylinder heads. Valve Seals – The 1991-1995 4.6L is prone to leaking valve seals. The reason the valve seals start leaking is that the valve guides on the older style heads are too short, and over time they wear out. Once the guides are worn, the valve actually starts to wobble a bit while it is being lifted, and this can very quickly wipe out even new valve seals. The 1996+ NPI heads have longer valve guides, so they don’t wear out as quickly, but it will happen eventually. Dieseling Noise – Many times a dieseling noise is found to be from a loose timing gear retaining bolt. Easy fix just remove the cam cover and retighten the bolt. Make sure the bolt is loose by checking for tightness by hand. Timing Chain Tensioner – Ford Motor Company has told its dealers that 2000 through 2003 model year Ford Crown Victoria and Mercury Grand Marquis vehicles may exhibit a grinding noise from the engine timing chain area. This noise, according to Ford, may be caused by excessive wear of the timing chain tensioner arms. The tensioner arm has an aluminum base with a nylon surface. The condition can also be detected by fine nylon and or aluminum particles present in the engine oil. Bad timing chain tensioners have been reported on other 4.6L vehicles as well. New technology to go old school! When you retro-fit a Ford 4.6L or 5.4L (SOHC/DOHC) with a carbureted intake manifold, you’ll need this new Controller to handle the ignition chores.The Controller plugs into the coil packs and sensors of the engine for a direct installation. From a PC, using our Pro-Data+ software, you can program a custom timing curve, a step retard, two step rev limiter and even a vacuum advance. A great system for street rods and retro muscle cars. Edelbrock’s Victor Jr. 4.6L intake is only offered for PI cylinder heads, but both a carb and EFI version are available. The single-plane, short-runner design is best suited for the 2,500-7,500 range, and Edelbrock claims it’ll support 600 hp. Plus, it makes the 4.6 look like a lot more engine than it is. Edelbrock offers a complete manifold kit that includes the Edlebrock Victor Jr intake manifold and the MSD-6 Ford Modular Ignition Controller.